Radiation Roots present a reissue of Derrick Morgan's People Decision, originally released in 1977. One of the very first artists to begin recording in Jamaica, Derrick Morgan is a beloved ska icon and a pioneer of the "skinhead reggae" style. Blessed with a rich, deep tenor, which with he belts out his clever and often humorous lyrics, Morgan became known on the Kingston music scene through Vere Johns's regular talent contests, and enjoyed a lengthy run of hits during the 1960s for producers such as Simeon Smith, Duke Reid, and Clement "Sir Coxsone" Dodd (among others), cultivating a popular vinyl feud with Prince Buster after being brought into Leslie Kong's camp by the young Jimmy Cliff. Morgan moved to England during the late 1960s to capitalize on the skinhead reggae craze, but was back in Jamaica from the early 1970s, and since Bunny Lee was his brother-in-law, the two have always maintained a close working relationship. People Decision, voiced at King Tubby's studio for Lee and released by Third World in 1977, sees Morgan in politicized roots reggae mode on songs like "Let's Build A Better Jamaica", the symbolic racetrack drama "Racing At Ballistic Park", and the title track, which all boosted the socialist policies of the ruling People's National Party; "Natty Dread Forward Out Of Babylon" updates the "Tougher Than Tough" saga, and there's a slew of rude tunes, including "My Dickie", "Rough Grinder", and "Ride Manny Fanny". LP version. Radiation Roots present a reissue of Derrick Morgan's People Decision, originally released in 1977. One of the very first artists to begin recording in Jamaica, Derrick Morgan is a beloved ska icon and a pioneer of the "skinhead reggae" style. Blessed with a rich, deep tenor, which with he belts out his clever and often humorous lyrics, Morgan became known on the Kingston music scene through Vere Johns's regular talent contests, and enjoyed a lengthy run of hits during the 1960s for producers such as Simeon Smith, Duke Reid, and Clement "Sir Coxsone" Dodd (among others), cultivating a popular vinyl feud with Prince Buster after being brought into Leslie Kong's camp by the young Jimmy Cliff. Morgan moved to England during the late 1960s to capitalize on the skinhead reggae craze, but was back in Jamaica from the early 1970s, and since Bunny Lee was his brother-in-law, the two have always maintained a close working relationship. People Decision, voiced at King Tubby's studio for Lee and released by Third World in 1977, sees Morgan in politicized roots reggae mode on songs like "Let's Build A Better Jamaica", the symbolic racetrack drama "Racing At Ballistic Park", and the title track, which all boosted the socialist policies of the ruling People's National Party; "Natty Dread Forward Out Of Babylon" updates the "Tougher Than Tough" saga, and there's a slew of rude tunes, including "My Dickie", "Rough Grinder", and "Ride Manny Fanny". 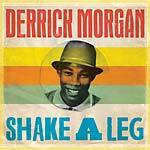 Derrick Morgan is one of the greats of Jamaican music, and the undisputed king of ska. But his recording career did not stop in 1967 when the sound of ska slowed down into rocksteady. Nor did it stop in 1968 when rocksteady evolved into the early sound of reggae. This set was first released in 1974, when reggae was king, under the name In the Mood, but the working title had been This Is Derrick Morgan. The working title follows the format by which the world of reggae would normally introduce a new singer with a showcase album. 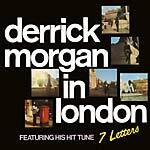 In this case, for the first reissue of this album, the working title is restored to reintroduce Derrick Morgan to the new reggae sound -- though an artist of Morgan's caliber really needs no introduction, as his voice works on any rhythm put his way. One of the greats of Jamaican music showing the world -- with the help of producer Bunny Lee -- that he can roll with the reggae sound. CD version includes six bonus tracks with appearances from Hortense Ellis and Paulette Williams. LP version. Derrick Morgan is one of the greats of Jamaican music, and the undisputed king of ska. But his recording career did not stop in 1967 when the sound of ska slowed down into rocksteady. Nor did it stop in 1968 when rocksteady evolved into the early sound of reggae. This set was first released in 1974, when reggae was king, under the name In the Mood, but the working title had been This Is Derrick Morgan. The working title follows the format by which the world of reggae would normally introduce a new singer with a showcase album. 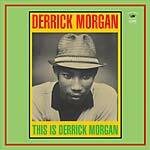 In this case, for the first reissue of this album, the working title is restored to reintroduce Derrick Morgan to the new reggae sound -- though an artist of Morgan's caliber really needs no introduction, as his voice works on any rhythm put his way. One of the greats of Jamaican music showing the world -- with the help of producer Bunny Lee -- that he can roll with the reggae sound. "Compilation of early reggae and ska tracks by Derrick Morgan, featuring The Hop, Fat Man, Shake a Leg and Forward March a song about Jamaican Independence. Compiled from the famous Blue Beat Records." LP version on 180 gram vinyl with insert.. "Compilation of early reggae and ska tracks by Derrick Morgan, featuring The Hop, Fat Man, Shake a Leg and Forward March a song about Jamaican Independence. Compiled from the famous Blue Beat Records." "Hot on the heels of recent the Pressure Sounds compilation of Derrick Morgan productions Red Bumb Bull...Derrick Morgan's career now spans over five decades, starting with Smith's in the late 1950's with mainly R&B output. In the ska era of the early 1960's he moved on to work with producers: Prince Buster, Coxsone Dodd (Studio One), Leslie Kong, and later in the 1960's and in the 1970's with the ubiquitous Bunny Lee. This compilation concentrates on a selection of Derrick's early ska/shuffle sides, through ska itself and to late ska/rocksteady. The Beverley's productions featured were produced by Derrick Morgan and the late Leslie Kong. Also featured are Duke Reid productions."